The modern French-Chinese restaurant’s last night is Thursday, April 18. Chef Tim Ma is serving his last crème fraîche wings at Kyirisan as the Shaw restaurant prepares to close on Thursday, April 18. 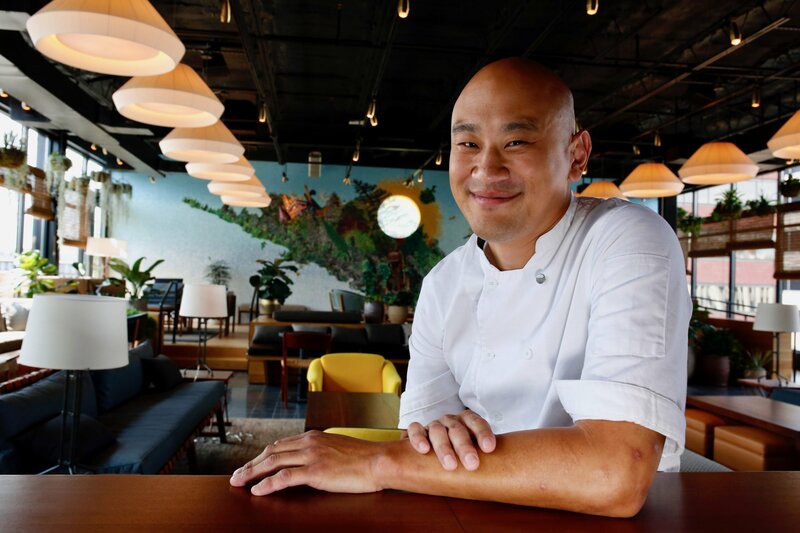 The modern French-Chinese eatery is the last independent venture for the restaurateur, who says he’s focusing on downtown’s new Eaton Workshop hotel, where he helms the main dining venue, American Son, and oversees food and beverage for Wild Days rooftop bar and other in-house operations. It’s been a decade of highs and lows for for the 41 year-old engineer-turned-chef, who opened his first restaurant, Maple Ave, in Vienna in 2009—just a year after graduating from culinary school in New York. (He since sold the eatery, which remains open under new ownership.) In the years that followed he also sold Chase the Submarine sandwich shop in Vienna and closed his ambitious new American restaurant, Water & Wall, in Arlington. * It was the shutter of the latter in 2017 and the debt that ensued that he says ultimately “decimated” his restaurant group. *This post has been updated from an earlier version that stated he closed Chase the Submarine. It was sold.